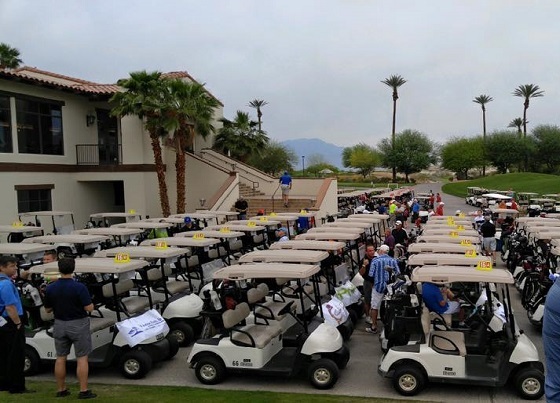 INDIO, CA – The Greater Coachella Valley Chamber of Commerce (The Chamber) announced its Second Annual Golf Tournament and Festival at The Golf Club at Tera Lago. The event will be held on Thursday, April 6th, with an 8:00 AM start. The tournament is so large it will occupy both the North and South course of Tera Lago. Attendees will be treated to lunch when the event concludes in the event center. The lunch event includes the golf awards ceremony recognizing low score and various contest held throughout the event. The festival portion of the tournament includes many vendors, prizes and games available to contestants throughout the course. The public is also invited to come and visit the vendors at the event. The cost to golf in the tournament is $650 for a foursome, $175 for an individual golfer. Several sponsorship and vendor packages are also available. For more information or to book your spot in the event, call 760.347.0676. The Chamber is a business membership organization representing the Coachella Valley. We support our members through legislative advocacy, education, networking, and other community based opportunities. The Greater Coachella Valley Chamber of Commerce is a registered 501c6 non-profit supported through member contributions. For more information visit www.GCVCC.org.